Decatur, Ala. – For the past 23 years, motorcyclists from across the southeast have joined together for a scenic ride across the north Alabama region to honor Native American Indians. The Trail of Tears Commemorative Motorcycle Ride is set for September 16, 2017, and along with the celebratory ride, the towns of Bridgeport, Madison, and Waterloo will each offer special events including family-friendly activities, live music, Indian-themed entertainment, and more. The Ride begins at the Alabama/Tennessee state line on U. S. Highway 72 in Bridgeport with riders departing at 8 a.m. CST on Saturday Sept. 16. 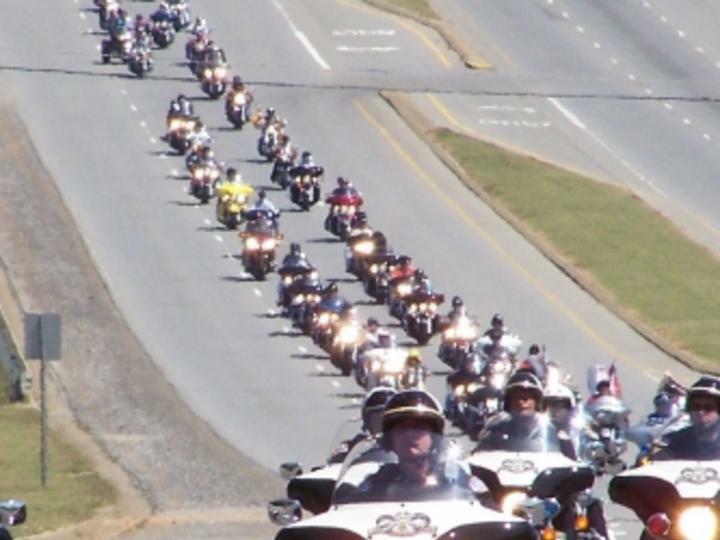 The ride travels U. S. Highway 72 West to I-565 West arriving at Redstone Harley-Davidson at approximately 11 a.m. for an official ride rest and lunch stop. The public is invited to welcome riders and enjoy food trucks, vendors and live music at Redstone Harley-Davidson. At noon, riders will depart and head west through Florence arriving in Waterloo at approximately 3 p.m.
A Kick-off Rally offering children’s activities, live music, entertainment by Cherokee Indian dancers, a street dance, a fireworks show and other free family fun for the public to enjoy is scheduled in downtown Bridgeport beginning at noon on Friday, September 15. Bikes will start arriving at 3 p.m. and the official opening ceremony gets underway at 3:30 p.m. The town of Waterloo will host a free POW WOW September 15-17 in remembrance of all those who walked the Trail of Tears. The three-day event offers live music on Friday and Saturday nights, flute and drum music and displays from Native American artisans and vendors. A River Walk Dedication Ceremony is scheduled for Saturday at 10 a.m. to honor those who experienced the forced journey with the grand entry slated for 1 p.m. and bikes arriving around 3 p.m. The ride is held rain or shine. For more information on the Trail of Tears Commemorative Motorcycle Ride including a map of the route and a schedule of events, visit http://al-tn-trailoftears.net/rideschedule.php. The Indian Removal Act of 1830 called for the voluntary or forcible removal of all Indians from the eastern United States to the state of Oklahoma. In 1838, the U.S. government hired wagon master J.C.S. Hood to transport 1,070 Native Americans by foot and wagon from Ross&apos;s Landing in Chattanooga, Tennessee to what is now Waterloo, Alabama. Much of the journey followed what is now U.S. Highway 72. Many Native Americans died in Waterloo and others escaped into the hills and today, area residents can trace their Native American ancestry to those who fled. As many as 4,000 deaths occurred because of this forced removal of civilized Native Americans from their rightful homes. In recognition of this removal process, the first Trail of Tears Motorcycle Ride was organized in 1994 with approximately 100 riders participating.